Franklin, Tenn. – Aug. 15, 2017 – Nissan North America has recalled more than 44,000 pickup trucks with noncompliant seat belt components, according to documentation filed with the National Highway Transportation Safety Administration. 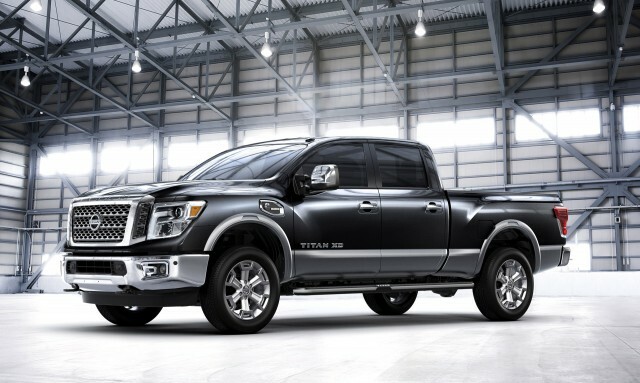 The campaign affects 2016-2016 Nissan Titan crew cab models produced between Sept. 29, 2015 and Feb. 24, 2017, as well as Titan XD diesel crew cab models with production dates ranging from Aug. 4, 2016 to Feb. 24, 2017. Nissan suspects 100 percent of the vehicles named in the recall contain the noncompliant components. The vehicles named in the recall could be equipped with seat belt fixtures that do not meet automotive assembly requirements established in Federal Motor Vehicle Safety Standard 201, which states that such components cannot have passenger head injury criterion values exceeding 1,000, according to the NHTSA. The Titan pickups referenced in the campaign contain seat belt assemblies that recorded a HIC value of 1007.9 in factory safety tests. These parts pose a serious threat to passengers, who, due to overly lax restraint features, could come into contact with hard metal seat belt bolt rim caps during accidents. However, Nissan has yet to receive reports connecting the noncompliant components to accidents or injuries. In January 2017, Nissan conducted internal HIC tests to assess the safety features on multiple vehicles, according to company documents submitted to the NHTSA. During these trials, engineers for the automakers learned that multiple models of the Nissan Titan pickup did not meet FMVSS requirements. In February, the NHTSA’s Office of Vehicle Safety Compliance sent an information request to Nissan asking for HIC readings. As engineers prepared this data, they performed further tests to ascertain the root cause of the readings and pinpoint any possible seat belt assembly defects that might have caused them. Nissan responded to the OVSC request in March and continued internal tests to see if the noncompliant readings created real-world safety concerns. Engineers soon discovered that the restraint features present in vehicles that registered HIC values over 1,000 were slightly skewed – specifically, the D-ring bolt trim caps and C-pillars were installed so as to create an approach angle of 15 degrees, when the FMVSS recommended they be installed to accommodate an approach angle of 0 degrees. With this information in hand, Nissan established that the installed equipment created a significant safety risk and issued an official recall. The car company notified dealers July 31. Nissan has ordered dealers to the seat belt bolts and bolt caps in affected vehicles, free of charge. Owners should expect to receive notification Sept. 26 via first-class mail. Those in need of more immediate assistance can contact Nissan customer service personnel at (800) 647-7261 or call the NHTSA Vehicle Safety Hotline at (888) 327-4236. 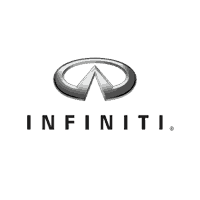 Franklin, Tenn. – Aug. 11, 2017 – Nissan North America has recalled more than 14,000 Infiniti sedans possibly equipped with defective fuel pump control module software, according to documentation filed with the National Highway Transportation Safety Administration. 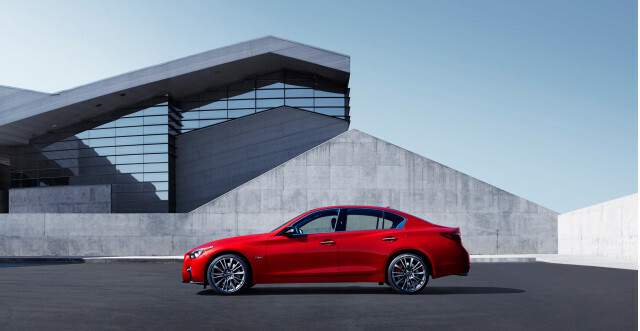 The campaign affects 2016-2018 Q50 models produced between March 10, 2015 and April 5, 2017, as well as 2017 Q60 models with production dates from July 30, 2015 to April 5, 2017. Nissan suspects 100 percent of the vehicles referenced in the recall contain the defective software. The models involved in the recall could include FPCM software that references the incorrect fuel pressure map and, as a result, may not effectively filter gasoline from the reserve tank to the primary tank when its fuel levels drop. This could result in complete engine shutoff, as the small amount of fuel left in the main tank is inaccessible to the fuel pump. This scenario could increase the likelihood of an accident and poses a serious safety risk to vehicle operators. However, Nissan has yet to receive any field reports connecting the defect to any accidents or injuries. In December 2016, the car company received a report from the U.S. market detailing an Infiniti sedan that experienced fuel pump issues. Nissan launched an investigation immediately. More than a month later, engineers succeeded in replicating the problem in-house, using parts retrieved from the vehicle named in the initial report. In March 2017, the automaker launched a monitoring program to collect more data on the defect and assess its impact. One month later, engineers involved in the initial investigation submitted evidence connecting the issue to the fuel pressure mapping components in the vehicle’s FPCM software. Nissan amended the software at the point of production and then reached out to the NHTSA. However, the car company had not yet gathered enough information to launch an official safety recall and continued to monitor the field for more data related to the fuel pump defect. This program lasted until early July, by which point Nissan had collected enough field insights to initiate a recall. 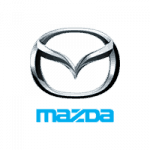 The car company met with NHTSA officials for the final time on July 12, launched an official safety recall July 19 and notified dealers July 27. Nissan has ordered dealers to reprogram the FPCM software in affected vehicles, free of charge, according to internal documentation submitted to the NHTSA. The automaker plans to notify owners via first-class mail by Aug. 21. Those in need of more immediate assistance can contact Infiniti customer service representatives at (800) 662-6200 or call the NHTSA Vehicle Safety Hotline at (888) 327-4236. Nissan has announced a recall of more than 44,000 Titan and Titan XD Crew Cab pickups to fix a problem with the vehicles’ seatbelts. Documents from the National Highway Traffic Safety Administration show that the devices may not properly protect occupants during collision. If that were to happen, if could result in a greater risk of injury to passengers. Nissan is recalling some 14,192 Infiniti Q50 and Q60 vehicles from the 2016, 2017, and 2018 model years. Documents from the National Highway Traffic Safety Administration indicate that, due to a software glitch, those vehicles may be at risk of stalling. to the engine, causing the engine to stall while driving.” Depending on where the car is when that happens, it could dramatically increase the chance of a collision. Earlier this month, the National Highway Traffic Safety Administration announced a 2.8 million-vehicle expansion of the already-massive Takata airbag recall. 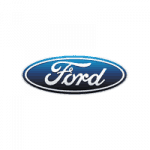 The bulk of the expansion affected Ford vehicles–something to which Ford now objects, as does Mazda. However, Nissan has said that it will comply with NHTSA’s request. Today, documents related to the Nissan recall were published on the agency’s website. Franklin, Tenn. – July 17, 2017 – Nissan North America has recalled more than 515,000 vehicles believed to contain defective Takata air bag assemblies, according to documentation filed with the National Highway Transportation Safety Administration. The campaign affects 2007-2011 Nissan Versa sedans manufactured between Nov. 21, 2006 and July 2, 2011, as well as 2007-2012 Versa hatchbacks produced between April 26, 2006 and Dec. 18, 2012. The car company is unsure at this time what percentage of the vehicles contain the defective air bags. 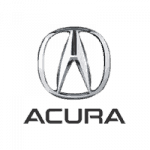 This campaign follows numerous other recalls related to Takata air bag components. Since 2004, dozens of automakers have been forced to conduct safety recalls and orchestrate the removal and replacement of over 100 million Takata air bags, Bloomberg reported. The company finally filed for bankruptcy last month, citing financial damage brought on by multiple multimillion-dollar fines and settlements. Takata will pay $975 million in restitution costs to victims and carmakers and $25 million in fines as part of a settlement with the U.S. Department of Justice. Affected vehicles could come equipped with air bag assemblies using Takata PSDI-5 inflators. These fixtures, which use calcium sulfate desiccant, emit metal fragments when deployed, putting drivers and passengers in grave danger. The PSDI-5 and other Takata inflators caused hundreds injuries and 17 reported deaths, according to Bloomberg. In March 2016, Nissan, in conjunction with the NHTSA and Takata, initiated an internal review meant to pinpoint and recover air bag assemblies from vehicles with PSDI-5 inflators, according to the NHTSA. Between April 2016 and January 2017, the car company collected the fixtures and performed propellant analysis and ballistics tests to determine their condition. Nissan reviewed the test results for PSDI-5 inflators later that month. Between March and June, Takata performed independent tests on vehicles from other OEM car makers to determine the operability of PSDI-5 inflators. 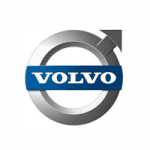 The parts provider submitted the results to the NHTSA July 7. Nissan reviewed this data, along with its internal findings, and determined that a voluntary safety recall was necessary July 10. Nissan notified dealers July 21. Nissan is still working on a workable solution and plans to work with an alternative parts manufacturer to produce safe air bag inflators for the Versa, according to the NHTSA. When the remedy is available, the automaker plans to instruct dealers to install the replacement parts, free of charge. Nissan will send interim recall notification letters to owners sometime at the end of September. However, owners who need immediate assistance can contact Nissan customer service at (800) 647-7261 or reach out to the NHTSA directly via the organization’s Vehicle Safety Hotline at (888) 327-4236. According to the NHTSA’s description of campaign number 17V253000, the 2014 to 2015 and 2017 Sentra is affected by the same defect as the electric vehicle. More to the point, a manufacturing error within the front passenger airbag inflators is the culprit. If left unfixed, the airbag may not deploy as intended in the event of a crash. The issue is unique to vehicles that have been fitted with airbag inflators produced by Daicel, a Japanese corporation that gave birth to photographic film manufacturer Fujifilm in 1934. And in stark comparison to Takata’s mess-up, the tier 3 supplier is the outfit that identified the potential defect that affects its inflators. 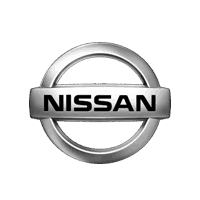 Franklin, Tenn. – May 4, 2017 – Nissan North American has recalled more than 28,000 vehicles equipped with defective air bags, according to documentation filed with the National Highway Transportation Safety Administration. The campaign affects Leaf hybrid-electric hatchbacks produced between Sept. 20, 2014 and Dec. 12, 2016, as well as Sentra sedans with production dates ranging from Sept. 25, 2014 to Sept. 22, 2016. It is unknown what percentage of these vehicles actually contain the problematic air bag assembly. Just over 24,000 of the vehicles originated from dealers in the U.S. Roughly 2,600 were sold in unspecified foreign markets, while over 1,400 went to Canadian showrooms. Approximately 10 were shipped to Mexico. Vehicles named in this recall contain front passenger-side air bag assemblies with faulty components. Specifically, the inflator modules in these safety systems may hold defective coolant with diminished compression strength. As a result, the air bags may not inflate properly in the event of an accident, leaving occupants defenseless. Nissan has traced the coolant issue to two separate phenomena: oxidization due to ineffective storage methods and excessive wear from factory tooling practices. This defect obviously poses serious risk to owners. However, Nissan has not learned of any accidents or injuries connected to the faulty air bag inflator modules. In October 2016, Nissan conducted safety tests and discovered that air bag assemblies in Leaf and Sentra models failed to fire properly. The automaker soon notified Japanese chemical firm Daicel Corporation, which supplied the coolant used in the fixtures. Daicel initiated an internal evaluation. Between November and December 2016, engineers for both companies reviewed the production workflows at the Daicel plant to determine the cause of the issue. The two teams also reached out to other suppliers involved in the production of the inflator modules, including Fuji and the Japanese vehicle design company Nihon Plast. The latter began internal testing. Nihon Plast completed its evaluation in February 2017 and summoned Nissan officials to review the results. As this unfolded, the automaker launched field tests to pinpoint any accidents that could have been attributed to the malfunctioning air bar assembly. Nissan ultimately found none. In March, Nissan completed its review of the Nihon Plast product evaluation and determined that a voluntary recall was necessary. The company launched the campaign April 6, 2017 but has since amended it twice – once April 28, 2017 and another time May 4, 2017. Nissan notified dealers April 27, 2017, requesting that they replace passenger-side air bags in affected models, free of charge, according to an internal communication submitted to the NHTSA. 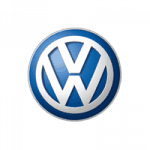 The car company has agreed to reimburse individuals with vehicles out of warranty for repairs. Models with active factory warranties should receive coverage for the recall work. Owners should expect to receive notification June 1, 2017. Those in need of more immediate assistance are encouraged to contact the NHTSA or the Nissan customer service department. Franklin, Tenn. – April 26, 2017 – Nissan North America has recalled more than 500 compacts with defective Takata air bag assemblies, according to documentation filed with the National Highway Traffic Safety Administration. The campaign affects Versa sedans produced between Feb. 16 and Feb. 21, 2017, as well as Versa Note hatchbacks that rolled off the line over the same span. The automaker has yet to determine what percentage of listed models contain these defective air bags. Affected vehicles are equipped with faulty air bag cushion housings. Specifically, the ringed plates that hold the cushioning in place are made of metal with low carbon content. These fixtures are therefore prone to failure in high temperatures and can even separate from the cushioning when safety features are deployed during accidents. When airborne at high speeds, the air bag housing assembly poses great risk to passengers. No accidents or injuries have been connected to this defect. In early February of this year, Takata engineers performed a round of quality assurance tests and discovered that some air bag assemblies suffered abnormal deployments. QA personnel conducted these trials in areas with temperatures of 85 degrees Fahrenheit or higher. Soon after the results registered, Takata engineers initiated an internal review to look into the problem. Weeks later, the provider connected with Nissan and shared the results of the air bag tests. The automaker immediately searched its inventory for affected parts, eventually instituting a worldwide quarantine of all Takata air bag assemblies included in the initial QA tests. Most of these fixtures were stored at Nissan production plants in Civac and Aguascalientes, Mexico. In March, Takata came forward with conclusive results: A tier-two supplier had shipped out ring plates with faulty metallurgical compositions. The parts, which were light on carbon, failed in high-temperature environments. Nissan immediately initiated audits in its Mexican facilities in an effort to pinpoint and remove the defective air bag ring plates. Over the course of March and April, personnel reviewed more than 1,800 air bag assemblies and found that 616 Versa models included flawed safety features. Nissan QA personnel soon decided to launch a voluntary recall campaign. The automaker has ordered dealers to evaluate the air bag assemblies installed in affected vehicles using a quick scan tool, according to internal documents released to the NHTSA. Should the readings show parts that originate from the defective batch, dealers are to replace the passenger-side air bag module, free of charge. Nissan notified dealers April 27. The company is currently distributing owner notifications and is expected to finish this process by the end of June. 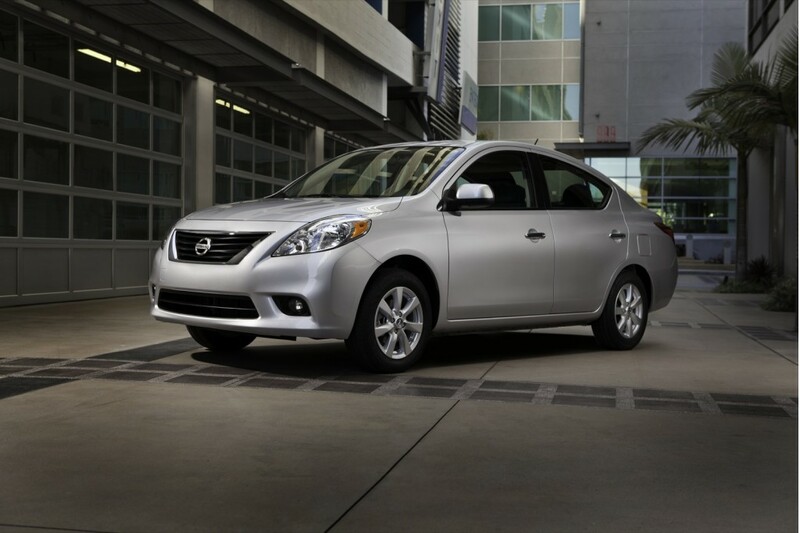 Versa owners in need of additional assistance are encouraged to contact the NHTSA.